New Forest National Park Authority: Pure Town Planning are pleased to have announce that we have recently secured planning permission for the demolition of four existing outbuildings and the erection of a substantial outbuilding within Burley Conservation Area. 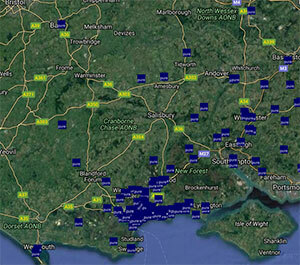 The appeal site is located on the edge of the small village of Burley within the New Forest National Park. The existing detached property is set within an extensive plot and currently has four outbuildings all of which are in a poor state. The purpose of this application was to remove these four outbuildings and replace them with one outbuilding of a similar floorspace more suited to the applicant’s needs. Prior to the application being submitted, a pre-application enquiry with the New Forest National Park Authority was undertaken. The Authority responded noting concerns about the two-storey height and the overall width of the building. They concluded that the outbuilding would likely compete with the main dwelling house and was contrary to the recommendations with their design guidance. 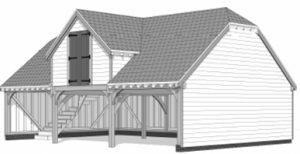 With the pre-app received, revised plans were prepared which reduced both the height and the width of the outbuilding but retained the two storey element which was vital to the applicants needs. A strong Planning and Heritage Statement was put forward showing how the proposal would not compete with the main dwellinghouse and that being within the Burley Conservation Area, the removal of four poor outbuildings and a high-quality replacement outbuilding would represent a positive impact upon the area’s special character. Once the application was submitted, we quickly got to work to arrange an on-site meeting to discuss the proposal with the Case Officer to ensure that planning permission could be achieved. The meeting was successful and subject to minor changes to the external appearance of the outbuilding to make it appear more ‘rural’ in character, the Case Officer considered on balance that she could support the scheme. Due to our pro-active approach early in the application process, it ensured the scheme was approved within the 8-weeks much to the delight of the applicant. If you are looking to undertake works in and around your dwelling house whether it is extensions, outbuildings or alterations why don’t you get into contact with Pure Town Planning on 01202 585524 or email info@puretownplanning.co.uk for a free and confidential 30 minute appraisal.